Welcome to our video library. 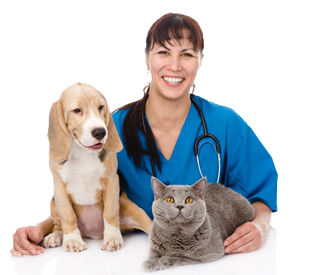 Dr. Underwood did these videos to give you more insight to Underwood Veterinary Hospitals and your pet care. Dr. James Underwood discusses diseases that are most easily prevented. One, parvovirus is the big problem with puppies under one year of age. It is a vomiting and diarrhea disease and it’s prevalent all over the nation and commonly found every year in many counties throughout Central Ohio. In our practice we strongly recommend the spaying of females dogs and cats primarily to prevent unwanted pregnancies and the desire that many of our pets have to roam. An additional benefit of spaying a female is the prevention of mammary cancer for the pets entire life. We strive to remain state of the art with our technology. Many veterinary practices would like you to stay in the waiting room or just observe while your pet is examined and treated. We have a more relaxed approach., If you would like to remain with your pet and restrain it we are happy to have you. We take euthanasia very seriously at our veterinary hospitals. This procedure is only going to happen once to your best friend and we want it to go the best it possibly can under the circumstances. From the moment we begin, your pet will experience nothing but relief from his initial injection to his final injection that ends his life. You may not know this but excess weight on your pet is more harmful than it is to people. A sedentary life style leads to many secondary diseases in pets that can shorten their life span. A house pet doesn’t have reading and television to fall back on when they loose their mobility. They need to stay somewhat active to be happy. And they need to be active to be healthy.